Signature guitars, or ‘artist models’, have been around since the turn of the century. But they’ve come a long way from being the mere product of artist-endorsement deals – they’re solid instruments in their own right, not just instruments for fans of the artist. Ed O’Brien was keen to call this a “co-build” as opposed to a signature model, but with a built-in Fernandes Sustainer pickup in the neck and a Duncan JB Jr humbucker in the bridge, it’s got the Radiohead man’s fingerprints all over it. One of the most interesting and successful signature models in recent years, Annie Clark’s angular instrument is a retro-futuristic dream. With a body apparently designed to fit more comfortably to the female form, its ergonomics are a boon for all players. The Strokes man’s signature is closely modelled on his own 1985 reissue of a ’72 Stratocaster, but the really interesting part is the switching. Identical to Hammond’s personal Strat, positions one and three are reversed, while four has the neck and bridge pickups in tandem. The US bluesman became one of the most recognisable current users of Epiphone’s famous hollowbody when he burst onto the scene in 2010, and when his debut album, Blak & Blu arrived in 2012, this appropriately hued, USA-pickup sporting signature accompanied it. Santana is one of PRS’ flagship artists, with new signature models launching year after year. Announced at NAMM 2019, this is one of the latest: an affordable version of the gold leaf single-cut model from the Private Stock collection. Matt Bellamy’s long association with Manson Guitar Works goes right back to his early days with Muse, and he’s had a variety of signature instruments made for him by the Devon luthier. The most famous is perhaps this T-style MB-1, complete with twin humbuckers and built-in MIDI controller. John Petrucci is one of Music Man’s most enduring artists, and he has a whole collection of signature models with the brand, the newest and most unique of which is the Majesty model, which features through-neck construction and Petrucci’s own floating tremolo. This USA-made reproduction of Page’s famous ‘Dragon’ Telecaster brings some of the iconic feel and vibe of the extremely limited Custom Shop version at a more reasonable price-point. With the same iconic paint job, it’s a ticket to classic rock nirvana. Paul Gilbert has played a variety of shred-tastic Ibanez guitars over his three-decade-plus association with the brand, but the Fireman – essentially a flipped version of the company’s 70s Iceman design – is perhaps the most fun and eye-catching. The Green Day man was an S-type man in his early days, but for the last decade or so has favoured Les Paul Juniors, this most recent update overhauling the formula with an enlarged scratchplate and a single humbucker. The up-and-coming blues-rocker’s signature Les Paul is certainly unique. With an all-black bound finish, a single black P-90, wrapover bridge and ‘Blues Power’ plaque, it’s a fusion of Custom and Junior elements. 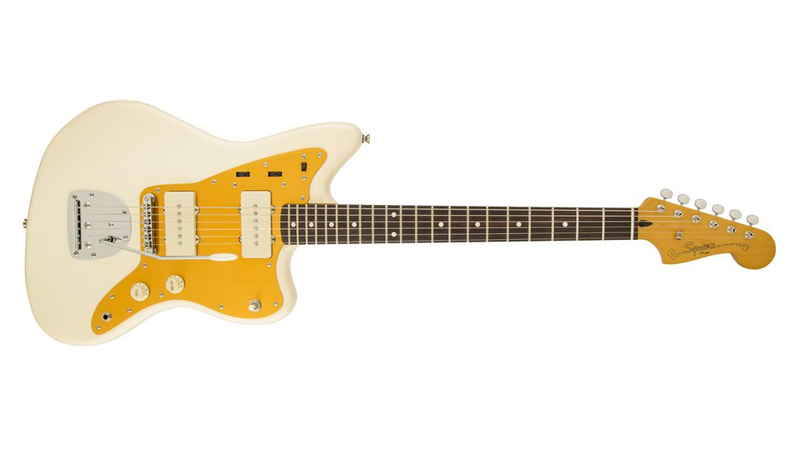 The Dinosaur Jr man has made a career out of making Jazzmasters sound ear-bleedingly loud, and this Squier signature model makes that dream attainable for anyone with its vintage looks and player-friendly Adjusto-matic bridge. 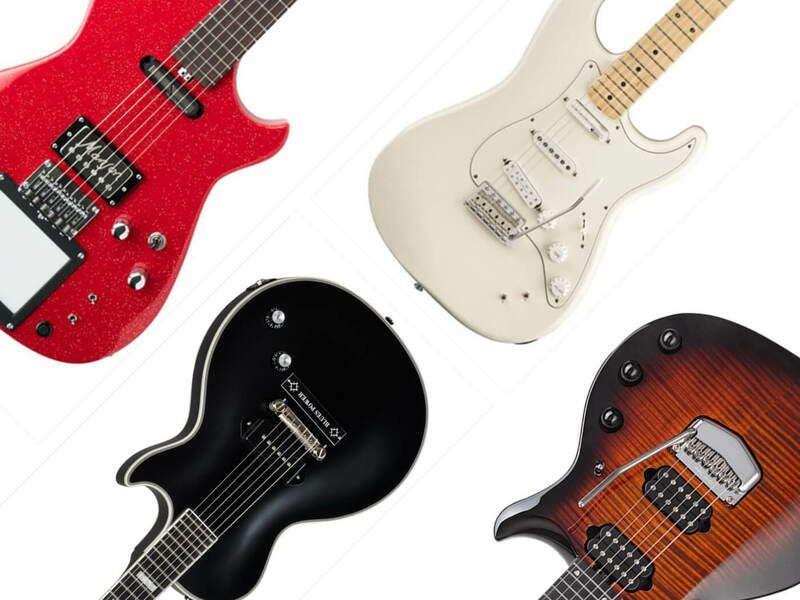 Learn more about the history of signature guitars here.